Our expert teachers provide guitar lessons in a comfortable Honolulu studio. The benefits of music lessons are believed to reach far beyond the acquisition of musical ability. Researchers... > Read More..
At the Pacific School of Music, we are committed to musical excellence and have been teaching in Oahu since 1999. > Read More..
All great drummers have to start somewhere - they don't suddenly appear on stage as part of a super group... > Read More.. Under the directorship of Dave Johnstone, the Pacific School of Music provides a welcoming environment for music students to learn and excel at their chosen instrument. Whether you want to become the next Mozart or prefer a casual jamming session in the garage with friends, our qualified instructors will help you meet your music goals with one-on-one lessons. Our music instructors are professional musicians in their own right, with experience in teaching a variety of styles to suit the individual music students and their specific needs. Our premises in Mapunapuna are comfortable, air-conditioned, and quiet with good parking and easy access to the 99 Ranch Market and Ben Franklin Craft Store. The Pacific School of Music provides individual sessions where students receive full and undivided attention from their instructor. Lessons are carefully structured for the optimum in theory and rhythm information. While helping students develop their skills and musical talent, our instructors encourage and help them achieve the short-term goals that they have set for themselves. In addition to the advantages of learning to play an instrument, it is well documented that music training has great intellectual and developmental benefits as well. The discipline of music overflows into academic achievement and studying, and self-esteem and confidence are increased through the student’s appearance in performances and recitals. We offer discounts for lessons paid in advance. Our fees are $120 per month and $30 per half hour. Further discounts are available when student’s performances are practiced and prepared. 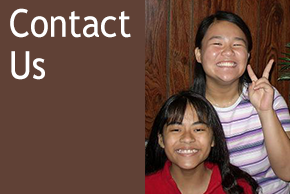 Contact us at the Pacific School of Music to discuss scheduling options and lesson plans. Call us now at (808) 836-8887.